1) The first step is to check the local ordinances because transient rentals are illegal in some areas. Decide whether the property is marketable and desirable. Is it in a good location that is close to landmarks, water, or with a great view? Are the amenities up to date like the internet and the Jacuzzi if there is one? If so, make the owner aware of the financial benefits of such assets and remind them that upgraded amenities and features tend to depreciate over time so it’s best to capitalize now.You may realize that this property is not appropriate for a vacation rental but by reaching this conclusion now a lot of time and money has been saved. 2) Once a decision has been made that the property will be a suitable vacation rental home, the exterior and interior must be prepared for future travelers. Everything must work properly, nothing should be broken, and the presentation should be neat and tidy. The transition has to be made from the “family home” environment to one that is suitable for guests. 3) Introduce your homeowner to the housekeeping staff. The big switch that a homeowner may need to accept is that they will no longer need to take care of their house. Some homeowners pride themselves on their property or use it as a hobby so to change that can be a shock. Make sure that your owners know that their home will be in good hands and make sure they are comfortable with that fact. 4) Prep the home for your system to provide entry instructions or a key for guests. This can be either through a lockbox or having a property agent hand over the key directly and walking the guests through the property giving them those details and instructions. Whatever your system, now is the time to prep the house for your entry system. 5) Create a welcoming package that goes beyond words. Instructions in the form of a welcome pack can explain how to connect to the Wi-Fi, where everything can be found and other rules that guests should know about. Things to do in the local area can also be included to keep guests entertained. If you have a system in place, be sure to ok it with your homeowners before moving forward. 7) A description of the property needs to be created to market on the web and provide potential guests with accurate information about the room layout, amenities and local attractions. Despite our reliance on images, this is an important, and often overlooked, aspect of online listings. Take the time and energy to create a description that is detailed and well written. 8) Last but not least, as you update your vacation rental listings, be sure to assess your vacation rental software in an ongoing basis. 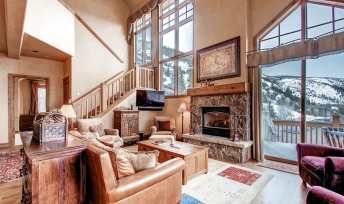 Adding homes to outdated vacation rental software will limit the potential of each listing. Be sure your company and your software are set for success with your listings. 9) Begin marketing and booking reservations! Some of this information may be old news, some of it may be worth the time to read this blog. One thing is certain and that is a healthy reminder never hurts anyone. Do you have a system in place for signing and converting homeowners to vacation rental properties? We would love to hear your feedback!